There’s no better reminder that summer is coming to an end than the cold, blustery, and wet weather we’ve been having this week. It makes me want to dive into a pile of cashmere scarves and hibernate until next spring. Summer, however, can be a real drain on the health and looks of our hair (from weeks lying in the roasting sun, to endless days spent in moisture-sapping air-conditioning), so our hair is probably jumping for joy that the season is coming to an end – possibly quite literally. In celebration of that, I have decided to give you a Hair Rehab action plan to reverse the damage caused by the summer and get ready for the colder months ahead. The result will be easy-to-manage, voluminous, shiny locks that can better cope with the elements. So who’s with me? Firstly, it makes perfect sense to ring your local salon and book an appointment for a quick trim. Cutting off those damaged split ends (and you’ll be lucky if you avoided them) will make a big difference to both the strength and the appearance of your hair. And while you’re there, why not book in for a salon treatment? A rehydrating professional treatment is the perfect way to kick-start your hair’s rehab. Start your home haircare regime in the shower, with a shampoo that will inject some moisture back into your locks (no need for conditioner, as this will be applied at the next step). Schwarzkopf Professional Essensity Moisturising Shampoo, £7.45 is both effective and great value for money. Organic essences and natural oils leave hair feeling smooth, shiny and manageable. Hair oils were one of the biggest beauty breakthroughs of last year – so if you aren’t using one already, now is the perfect time to discover the benefits. Applied to wet hair before blow-drying, they help to ease tangles, condition the hair, add shine, improve manageability, and speed up drying time. Schwarzkopf Professional BC Bonacure Oil Miracle Oil Finishing Treatment, £21.95 is the ideal purchase – or if your locks are fine and prone to greasiness, pick the Light version, also £21.95. Your hair deserves some tender loving care after everything you put it through in the summer months, so treat it to a weekly hair treatment as a matter of routine. For coloured hair, I really recommend the luxurious Fekkai Salon Technician Colour Care Moisture Mask, £33, which will protect your colour from the elements, whilst also conditioning and nourishing. Or for an intensive shot of moisture, Fekkai Essential Shea Ultra Rich Mask, £25, will transform locks to strands of silk in a matter of minutes. 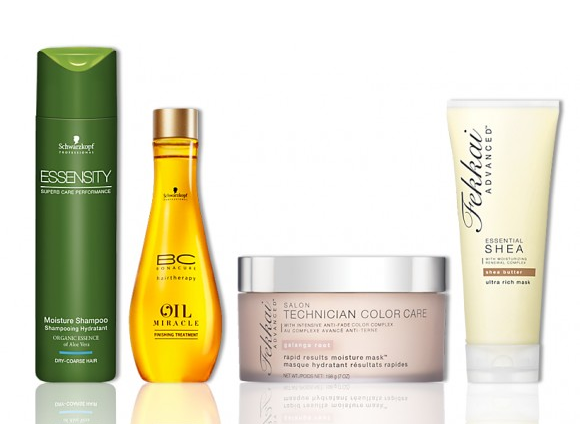 Wind and rain are bad news for hair, causing all kinds of styling dilemmas and nasty tangles. This season, however, we have the perfect excuse for pulling our hair back into a stylish ponytail, as it’s one of the hottest trends for the season ahead (thanks to the models at Alexander Wang and Emanual Ungaro’s Autumn/Winter 2011 shows). So this season, don’t even bother trying to contend with the elements – and your locks will thank you for it! I put this on whilst hair wet, and then again after straightened. I have very thick naturally curly hair, this keeps the humidity out and stays straight and shiny. This entry was posted on Monday, September 12th, 2011 at 8:51 am and is filed under Guest bloggers, Haircare. You can follow any responses to this entry through the RSS 2.0 feed. You can skip to the end and leave a response. Pinging is currently not allowed.